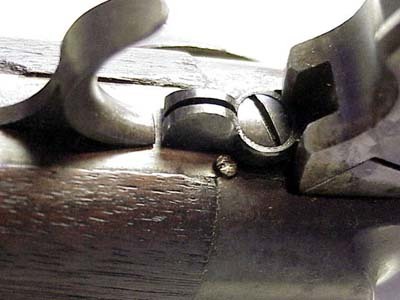 Many items that are offered up as original, authentic, genuine artifacts of the American Civil War are not. 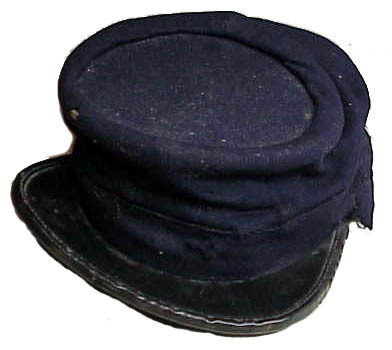 Test your ability to judge the true Civil War items from those that date from a later era. Below are images of various items. To the best of my knowledge all are original and none reproduction or fake. Those who have a reference library might take the quiz both closed book and then open book. For those who lack experience collecting Civil War artifacts the quiz illustrates the problem of knowing is it Civil War? Because of muliple images this page may load slowly. The back is lead filled and had four thick attachment wires. Three are broken off. 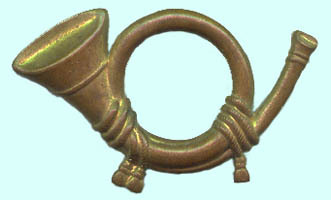 This is a stamped brass horn with wire attachments in the back. The size is two and one-eighth by one and one-eighth. 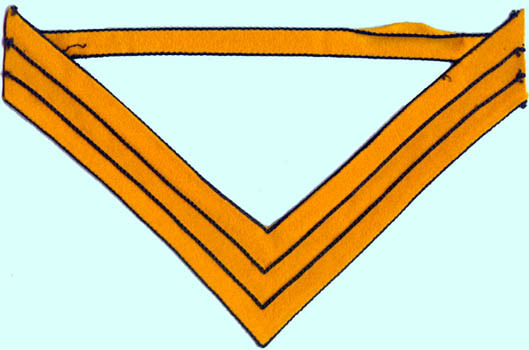 This is a yellow wool cavalry chevron that was said to have been found "in a government warehouse." This wooden object was sitting on a gun dealer's table at a gun show. 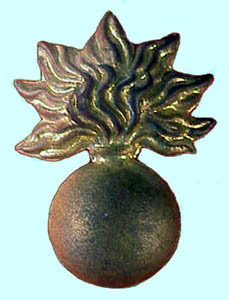 This is a stamped brass insignia with wire loops in back. 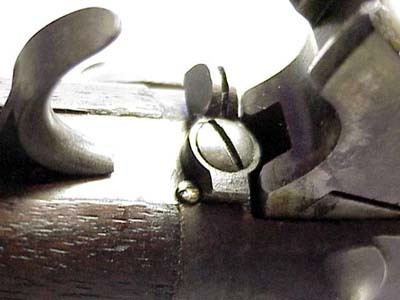 Near the trigger is a small switch which turns as shown. 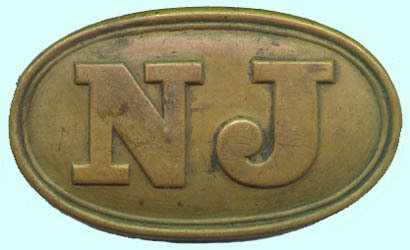 This is a navy shoulder strap marked as shown. This button has an eagle that has a raised shield on its chest. 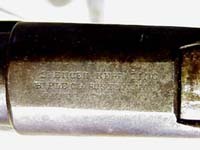 The back is marked: "Horstmann*Phila*". 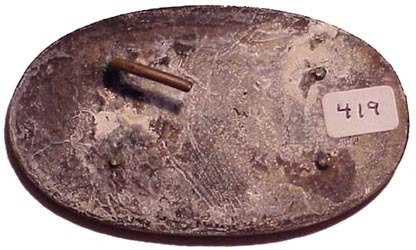 This is a Georgia state button whose back reads Mintzer Phil 1861. This is a wool forage cap marked on the inside crown Bent and Bush Boston. In stating something is Post-Civil War the creator of this quiz realizes that honest differences in opinion can exist as to just when the War of Northern Aggression ended. 0-1 right let your spouse hold your money for you and frequently sell what you have bought on Internet auction sites. * Yes, I know (the maximum score is ten).